The literal translation of Shibuya is "bitter valley." Based on the number of software company offices, Shibuya is the 3rd most popular city in the computer industry in Japan. It is sometimes called "bit valley" because of this. 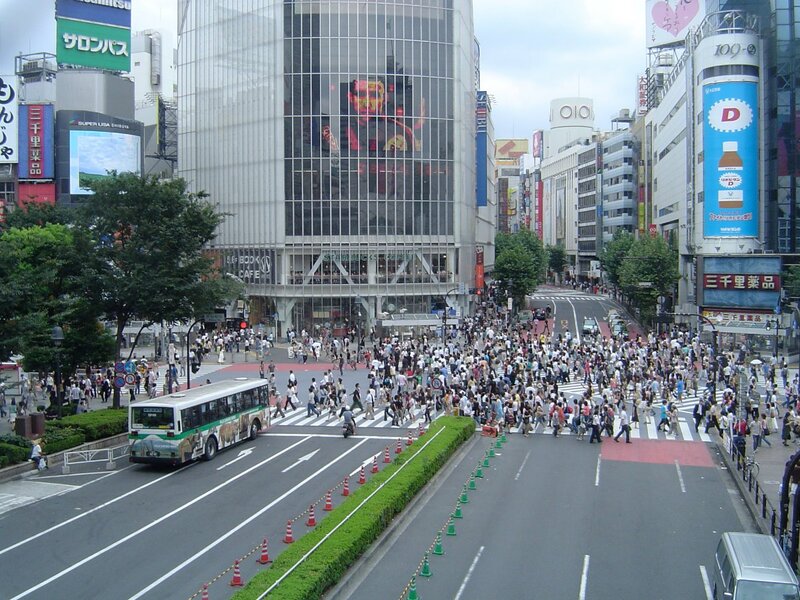 Shibuya is south of Harajuku (another popular part of Shibuya Ward with young people) and Shinjuku. Unless noted otherwise, all attractions on this page are on the west side (Hachiko exit) of Shinjuku Station. Apple's second Tokyo store opened Aug. 6, 2005 and is the second store in Japan to include a spiral glass staircase. The store is worth a look for the staircase alone. It is smaller than its Ginza Store with only two floors. 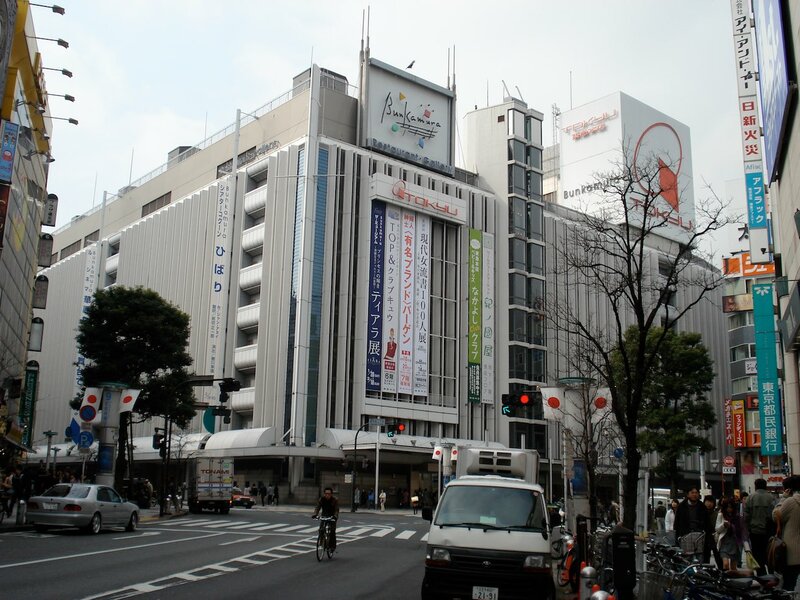 Bunkamura (culture village) is a posh entertainment complex owned by the Tokyu department store chain. 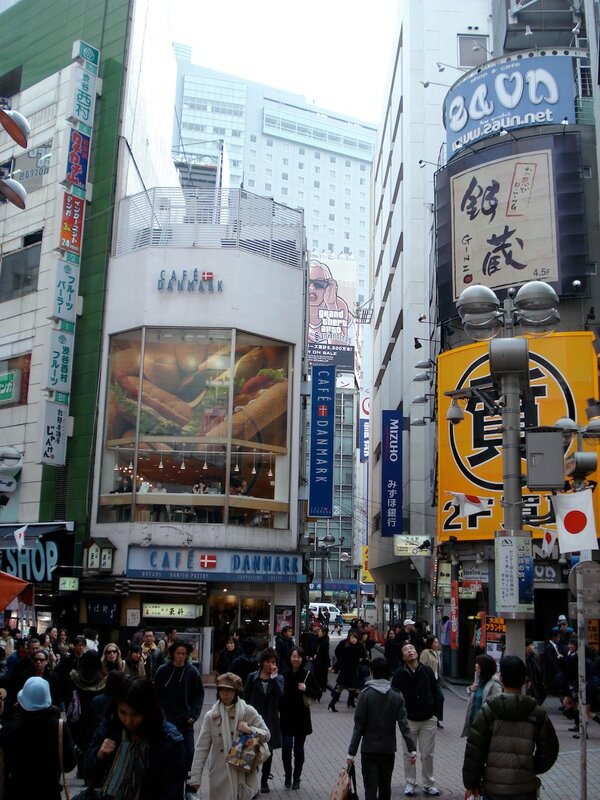 It is located next to Tokyu Hands on the north west edge of Shibuya's shopping district. The main entertainment venues are the Orchard Hall and the Theater Cocoon. The supporting restaurants, cinemas, books stores and other boutique shops like Swarovski all add to the atmosphere of elegance and class. Shibuya Mark City are the twin towers in an east-west line that stand above Tokyu's bus terminal, the Ginza Line and Keio's Inokashira Line. The buildings opened in 2000 and its shopping is aimed at young women. The towers have an hotel (408 rooms), mall (mostly east tower), office space, restaurants and many cafes. Shibuya-FM broadcasts from the building. 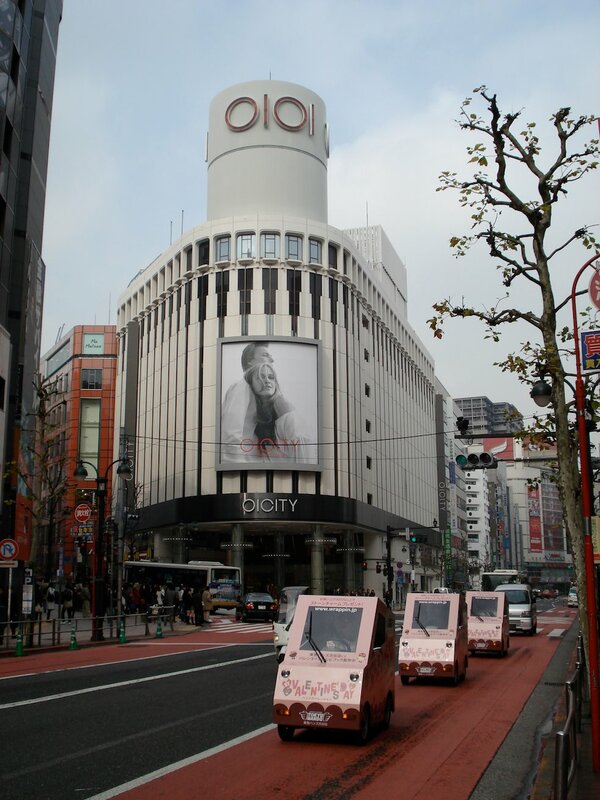 The department store Marui has two stores in Shibuya. Marui City and Marui Jam are both a short walk directly north of Shibuya Station down the main road. Seibu runs a large department store in front of Shibuya Station and multiple other buildings. 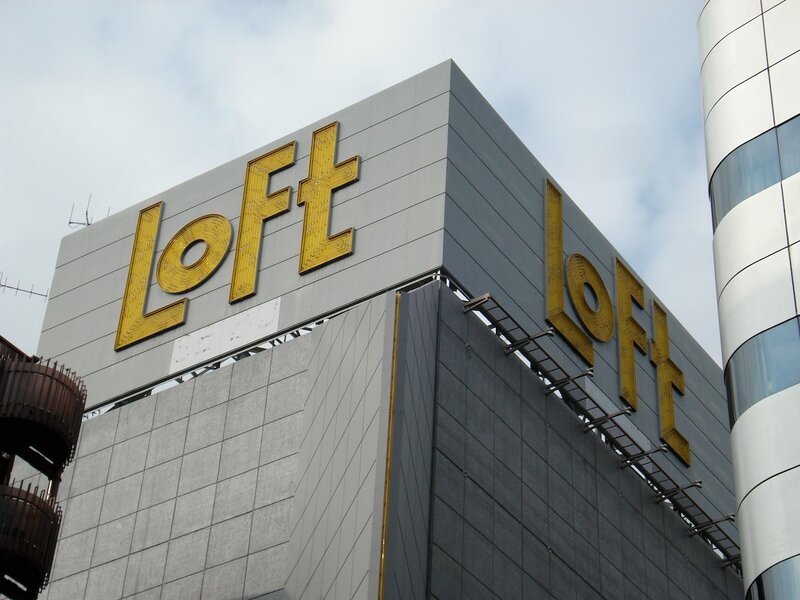 Loft is part of Seibu and was designed to go after Tokyu Hands. Loft emphasizes stylish goods and is bit more up-market than its competition. 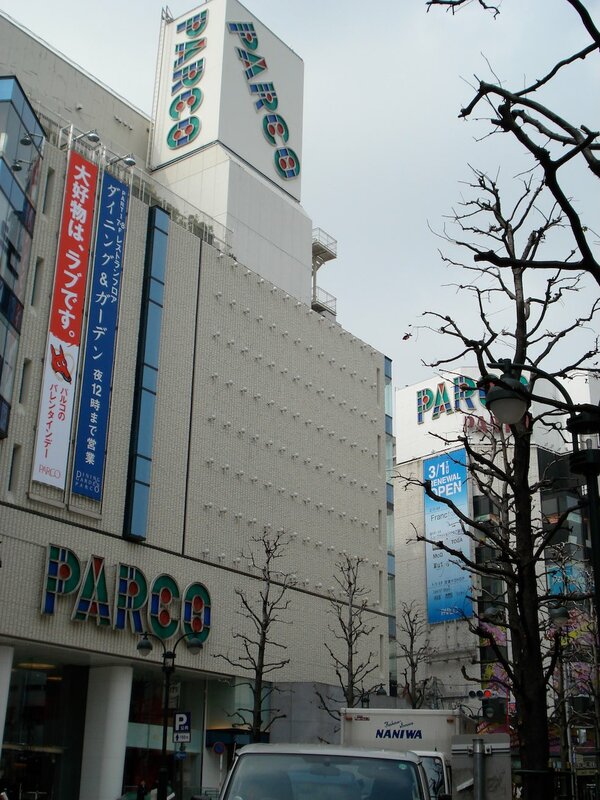 Parco is a boutique mall that is geared towards young adult fashion shopping. The Parco buildings in Shibuya are Part 1, Part 2, Part 3, SR6, Studio Parco, UP's-4, Quattro and Zero Gate. Spain street is a small narrow and windy street that leads up to the Parco stores. Reputedly, it gets the name because it resembles a spanish street. Many restuarants, cafes and boutique shops are located along the street. 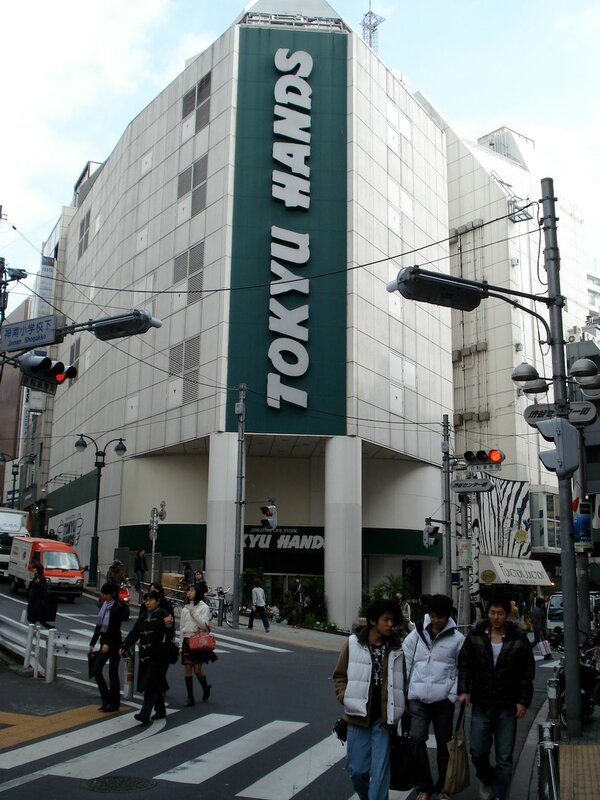 Tokyu has two department stores in Shibuya on top of their other stores. 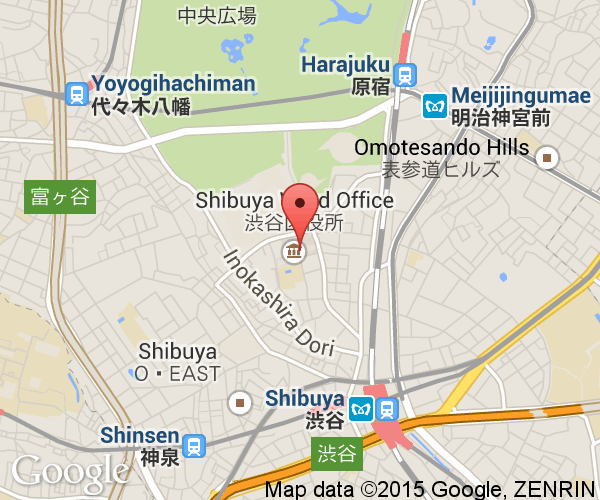 The first is above Shibuya Station and the other is a 10 minute walk north-west of the station besides Bunkamura. 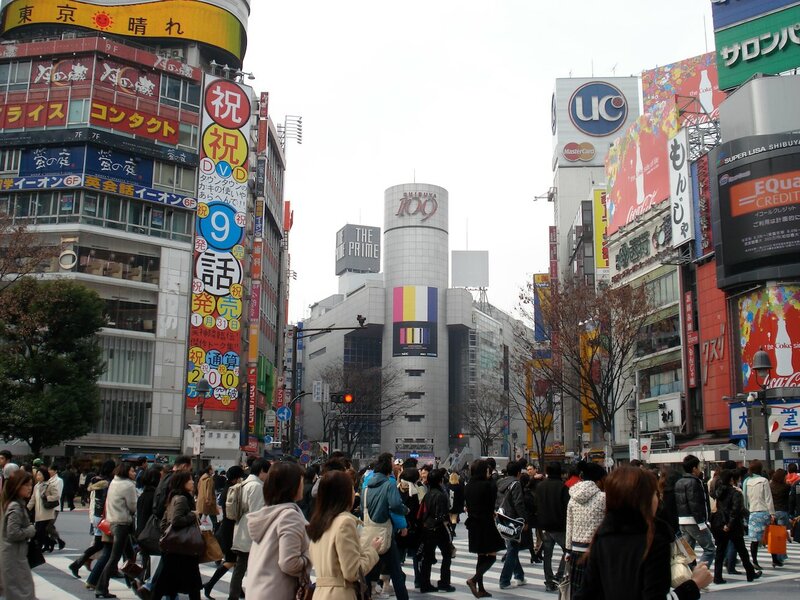 The iconic Shibuya 109 building (pronounced Shibuya ichi-maru-kyu) is where you'll find the latest in fashion. It is one of the first major buildings you'll see in Shibuya. It's name could also be pronounced Tokyu which tells you who owns it. The self-proclaimed "creative life store" has everything you need for daily living except groceries. It has everything from pots and pans to games and costumes. Cheaper deals on some of its goods can be found if you look around, but for convenience and selection, it's hard to beat Tokyu Hands. The world's biggest Tower Records is a few minutes walk north of Shibuya Station. The 7th floor is devoted to foreign books and magazines. Open daily from 10 to 11. 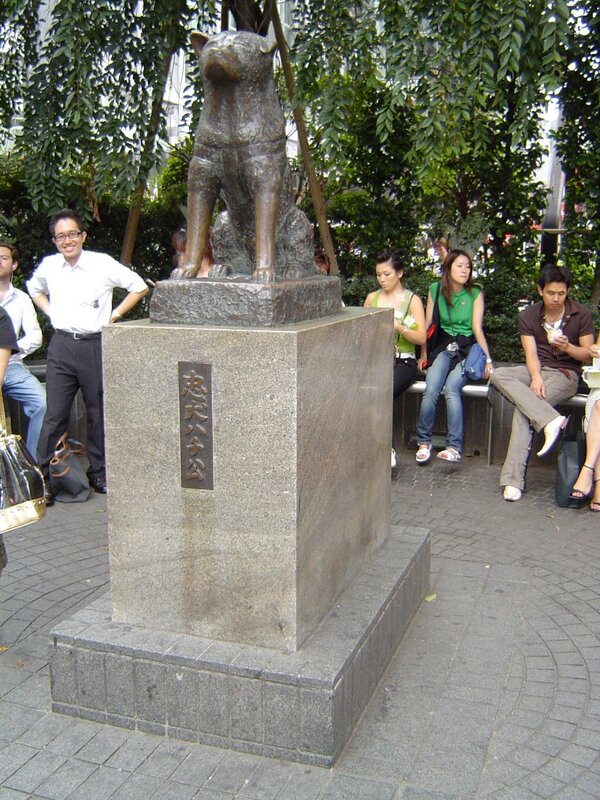 The fable of Hackiko, the loyal dog who returned to Shibuya Station in the late 1920s and early 1930s every day to wait for his dear departed master, is commemorated with a statue outside the station. The story was told to countless school children as moral lesson on loyalty in Japan. The dogs loyalty is disputed (it may have been for the free handouts), but, he did help popularize and save the native Akita breed of dog from dying out. The statue is a popular meeting place and there are always many people waiting around at the statue. Well, almost always, people do sleep and work in Tokyo, too. The venerable Japanese public broadcaster, NHK, has its headquarters in Shibuya and NHK Studio Park is probably the cheapest major attraction in Tokyo. 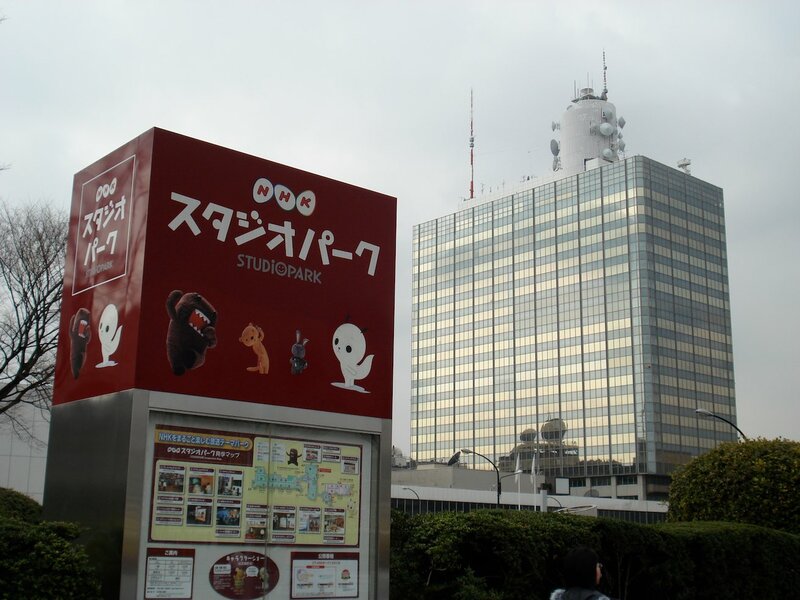 NHK Studio Park allows both kids and adults to become part of some of NHK's most popular shows. The Tobacco and Salt Museum is run by Japan Tobacco which once held a monopoly on both products in Japan. Japan has no salt mines so people had to harvest salt from the sea until recently. 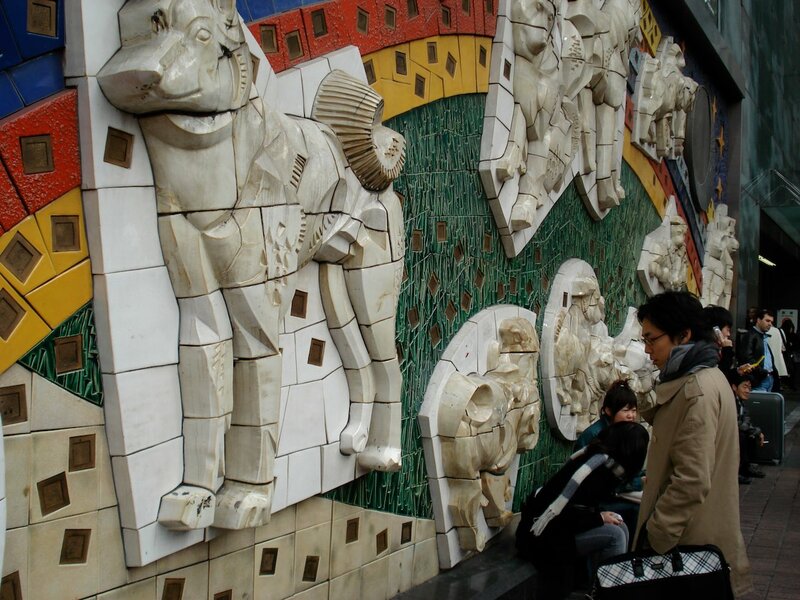 This quirky museum is recommend by many Tokyo guides and is a short walk from Shibuya Station. 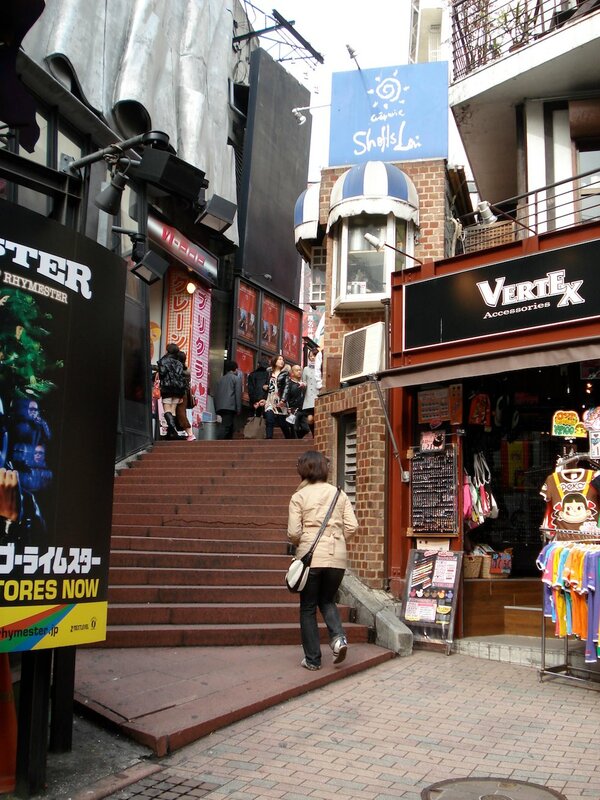 Harajuku has been regarded for many years as the place where many of Japan's nascent youth trends will emerge. Famous places in Harajuku include Yoyogi Park and the Meiji Shrine. JR Shibuya Station is on the Yamanote Line which makes it easy to reach from most parts of Tokyo. Some express trains stop at the newer southern platform which is a fair distance from the main Hachiko exit. The Keio Inokashira Line and Tokyu Toyoko Line both terminate at Shibuya. By subway, two different Shibuya Stations for the Tokyo Metro Ginza Line and Hanzomon Line are located just north of JR Shibuya Station.